POSTS Smith Machines Vs Free Weights: Which One Is Best For You? Are you struggling to decide between using a Smith Machine and Free Weights? On the surface, they seem to provide similar muscle-building benefits. However, there’s a lot more going on than you may currently realize. After years of working out and building muscle, I’ve gotten to know the benefits and drawbacks of smith machines and free weights pretty well. You may be wondering which one’s best, right? My years of experience and the research concludes that free weights are generally better than smith machines. If you’re interested to learn more about why and the benefits/drawbacks that each posses, you’re in the right place. We’re about to take a detailed look into smith machines and free weights to provide you with all the information you need to make the best decision for yourself. 1 What is a Smith Machine? 4 Who’s a Smith Machine Best For? 5 What Are Free Weights? 8 Who Are Free Weights Best For? 9 Should You Use A Smith Machine or Free Weights? Smith machines seemed to have attained a bad reputation among many gym goers. The biggest criticism I see is people saying how unnatural the movements feel. Is there any truth to these common complaints? 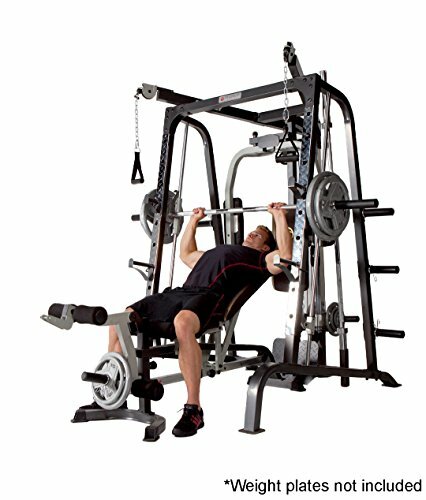 A smith machine is a weight apparatus that people use to train their muscles. It works similarly to a regular barbell, with a straight bar for you to put weighted plates on either end. But there are some key differences. The barbell is built into a fixed range of motion with rails on either end. It can only move in a completely straight up and down motion. You’ll find there are pins that stick out and hook connected on the top of the bar. 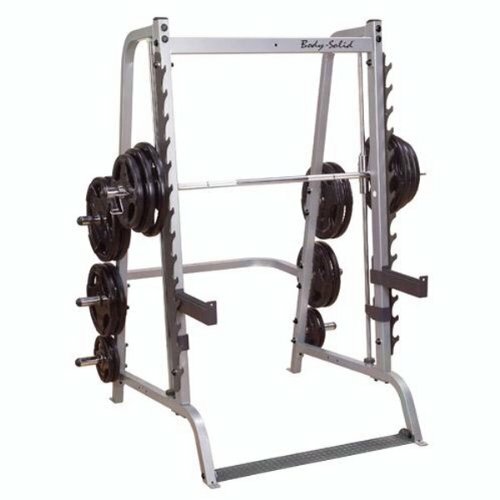 This lets you easily re-rack the weight, and that’s one of the most profound benefits of a smith machine. Jack LaLanne invented the smith machine in the 1950’s. He was a successful bodybuilder and pioneer in fitness equipment at the time. Jack wanted to find a way to safely squat heavy weight without needing a spotter to help out in case he couldn’t get the reps.
His goal wasn’t to replace free weights with machines, instead, he was after a machine that would benefit his overall workouts. If you fail halfway through a heavy barbell squat with no spotter, it can be a scary situation. (Trust me, it’s happened more times than I’d like to admit!). Even if you set up safety racks, the risk of injury is still high. With a smith machine, however, you can lift weights more safely, without a spotter. If you fail on a rep, you can simply twist the bar so that it hooks onto one of the many pins that are found up and down the rails. The main exercises people use the smith machine for are squats and shoulder/bench press. You can also do lunges and bent over rows too. Since the bar is in a completely straight path, it means you don’t have to focus on stabilising the weight. When you use free weights, it takes more energy to keep them stable. This is a huge reason as to why I love incorporating some smith machine exercises into my workouts. It lets you zero in and put all your focus and energy into activating and squeezing the muscle. 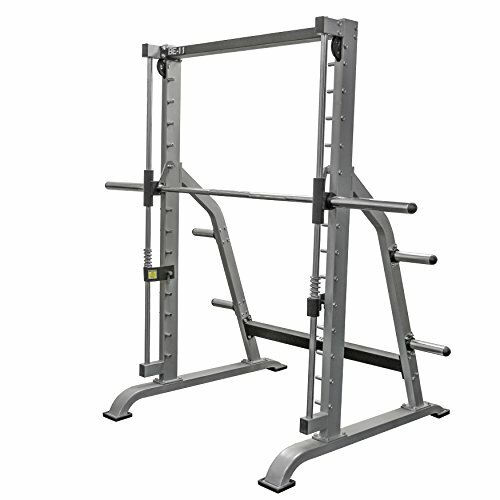 Those of you interested in a high-quality and affordable smith machine will love what the Marcy MP3100 Smith Machine has to offer. Even though I like to use smith machines as part of my workouts, there are some major reasons why they remain as just a part. As I mentioned above, one of the benefits of a smith machine is that you can lift weights in a straight bar path. It minimizes the need to recruit stabilizer muscles to let you get a good mind-to-muscle connection. However, this can also work against you too. Using a smith machine too much could cause your stabilizer muscles to become weak. While you may be able to lift a lot of weight on the machine, you will still be weak when using free weights. In fact, your stabilizing muscles would be more prone to injury. They aren’t used to balancing free weights. Furthermore, the bar path is completely straight, meaning that you have to fit your body into the machine. As a result, it can feel very unnatural for many people. This unnatural motion can lead to a lot of stress being put onto the joints and back. If you’re in it for the long-run, you’ll want to avoid this kind of stress as much as possible! Who’s a Smith Machine Best For? A smith machine can be fantastic for anyone looking to build muscle. However, it is vital that you don’t rely on it. Like I said, I enjoy incorporating it into my workouts because it feels good for me. If you try a smith machine and it feels very awkward, don’t carry on. It’s as simple as that. It will likely cause you knee, back, and joint problems down the line. Having said that, if it feels good, it can be a fantastic addition to your workouts. It lets you lift heavier loads safely without needing a spot. Beginners should steer clear of smith machines- why? You need to put your energy into the free weights to built up your stabiliser muscles. They are crucial in helping you lift heavier weights and build more muscle. We’re about to take a look at free weights and what their benefits are in the next section. Free weights can be categorized under any kind of weight that you can move without any restrictions on the range of motion. Barbells and dumbbells are the two most common types of free weights. With barbells, you simply put weighted plates onto each side and use clips/clamps to keep them secure. You can use them for tons of exercises, including squats, bench press, bent over rows, and shoulder press, just to name a few. 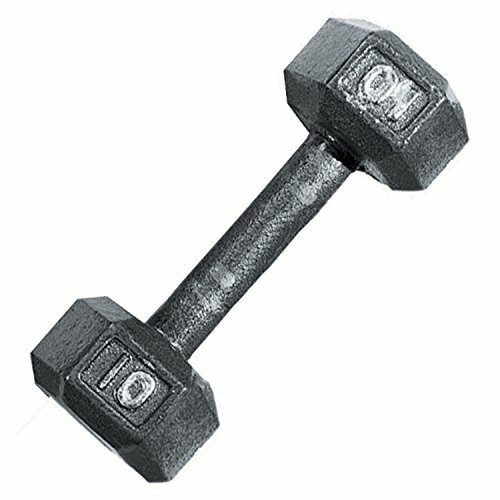 Dumbbells are weights that you can hold in both hands and for the most part, come in set weights. You can, however, pick up adjustable dumbbells where you can add and take plates off like a barbell. Medicine balls and kettle bells are the other types of free weights available. A study in 2009 concluded that free weights were over 40% more effective at activating muscles in a squat compared to a smith machine. Other studies have reported how free weights are better at improving your strength too. A more obvious benefit to free weights is that they let you build up your balance abilities. As a result, people using free weights over smith machines improved their stability by a considerable amount. So, the research clearly shows us that free weights are more beneficial than fixed-machine movements. Lifting dumbbells and barbells requires a lot more energy expenditure too. Not only are you having to move the weight, you also control every inch of the motion. Therefore, you’re likely to get more of a sweat and burn more calories. The natural range of motion is why free weights will always be king. You can incorporate smith machine work, but it should only take up a smaller chunk of the workout. If your form isn’t tight, and the motion isn’t controlled, free weights could increase your chances of injury. Since these weights can be moved in a free range of motion, some people neglect the amount of control needed to use them properly. People often swing free weights with momentum which can cause injuries. Furthermore, moving weights in this manner takes stress off the targeted muscles. You could essentially be at a higher risk of injury and be building less muscle. Making sure the entire motion is controlled is paramount for safety and better results. Who Are Free Weights Best For? I would recommend free weights for people of all experience levels. Complete newbies, intermediates, and veteran lifters should all be using free weights. This is especially the case if you’re completely new to building muscle and working out. The free weights will take a little longer to get used to, but the benefits will be worth it. They force you to work harder which increases your strength and muscle. 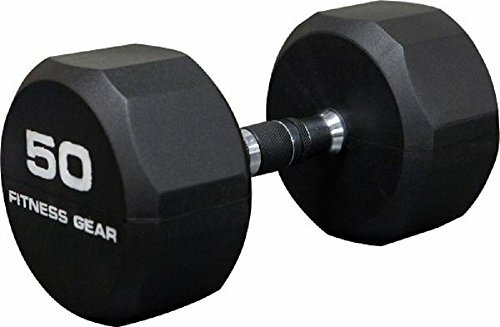 If you’re looking for an affordable and effective way to use dumbbells from home, try out this range from Fitness Gear. Should You Use A Smith Machine or Free Weights? From personal experience, and what studies tell us, there’s no real competition between free weights and smith machines. Free weights are proven to have more benefits. They require more effort, recruit stabilisers, and help you build more muscle. However, the intention with smith machines was never to overtake free weights. It was invented to lift heavier weights safer without a spotter. Smith machines should only be used as part of your muscle-building routine. Don’t let it replace your training with free weights. Having this balance aids you in building more muscle and avoiding injuries. Those wanting to lift heavier weights but don’t have a spotter to keep them safe would love the Marcy MP3100 Smith Machine. People just starting out will not be advanced enough to be lifting those kinds of weights. In which case, focusing on free weights, like these Fitness Gear Dumbbells is a better option. Smith machines are awesome if you’re a more experienced lifter who wants to move heavier weights safely, without a spotter. Free weights are excellent for all experience levels and are superior for building a solid foundation of muscle and strength. In the end, the choice comes down to your goals and how experienced you are with lifting weights. Use my recommendations to help form your own decision if you were feeling a little stuck. Hopefully, all the information I’ve provided for you here helps you out! Cycling Vs. Treadmill: Which One’s Best For You?